This summer I’ve been bringing you a new color recipe every week. I’ve been doing this to try and help you to see that discovering and finding new colors to play with isn’t as hard as you might think. If you haven’t read my recent article on Making a Color Palette 101, it’s an article you won’t want to miss. 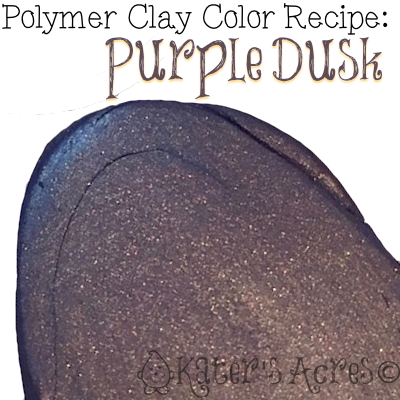 Because this article will show you a super easy and effective way to create your own colors in polymer clay. Last week I brought you a new metallic you’re sure to love: Golden Green. Be sure to snag that recipe for future use! Add parts additional Cobalt for a deeper navy hue. Add 2 parts additional Gold for a brighter golden sheen and brown tone.